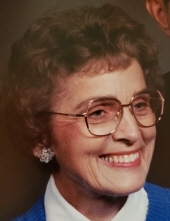 Betty Lu Crawford Compton, 77, passed away Monday, January 28, 2019 in Manhattan, Kansas. Betty Lu was born August 15, 1941 to Carl W. and Hilma Fisher Crawford, west of La Fontaine, Kansas. Betty Lu grew up on the farm. She learned to cook and keep house during the summer months as her mother worked outside. She participated in 4-H for several years. Betty Lu started piano lesson in about the 3rd grade. She played for school functions, church, weddings and funerals until she was married. In later years she again played for Church. Betty Lu also played the accordion and organ. Betty Lu attended elementary and high school at La Fontaine, Kansas. She graduated in 1959 from Elk City High School. In May 1962, she graduated from Coffeyville, Jr. College in Coffeyville, Kansas. She worked as a secretary at the cement company in Fredonia and at Offutt AFB in Nebraska. On November 28, 1965, she was united in marriage to Daniel Ronald Compton in La Fontaine, Kansas. To this union two boys were born, Ronald Eugene Compton and Thomas Allen Compton. Betty Lu enjoyed cooking and baking and had homemade goodies for her boys after school. She loved to go the ballgames and yell for her boys. In 1989 the Compton’s moved to Springfield, Missouri. Betty Lu worked at the Principal Financial Group for six years as a mail clerk. She retired in August of 1996. Betty Lu was a volunteer at Cox South Hospital for 12 years working at the surgery desk. Betty Lou was a member of the Glendale Christian Church. Survivors include Dan, her husband, sons, Ronald and his wife Karen of Manhattan, Kansas, Tom Compton of Kansas City, Missouri; one brother, Rex Crawford of Fredonia, Kansas and one sister-in-law, Mary Ellen Crawford of Wichita, Kansas. Three nephews, 2 nieces, 4 step grandchildren and 5 step great grandchildren. She was preceded in death by her parents and one brother, Max Crawford. Celebration of Life Funeral Services will be held 2:00 P.M., Friday, February 1, 2019 at Wickham Family Funeral Home, 510 North 7th, Fredonia, Kansas 66736. The family will receive friends from 1:00 P.M. until services time at the funeral home Friday. Memorial remembrances are suggested to the Arthritis Foundation or Glendale Christian Church and they may be left or mailed to the funeral Home. To send flowers or a remembrance gift to the family of Betty Lu Compton, please visit our Tribute Store. "Email Address" would like to share the life celebration of Betty Lu Compton. Click on the "link" to go to share a favorite memory or leave a condolence message for the family.